Berrin vom Kolenda & Dad Vinnie (Microwave) Johnson #15 Detroit Pistons. 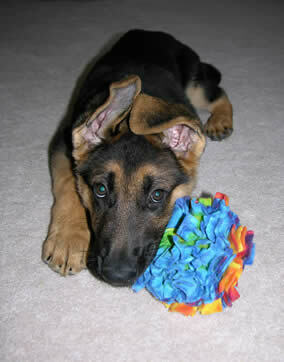 Thank you for such a beautiful and wonderful puppy, he is everything I wanted in a German Shepherd. 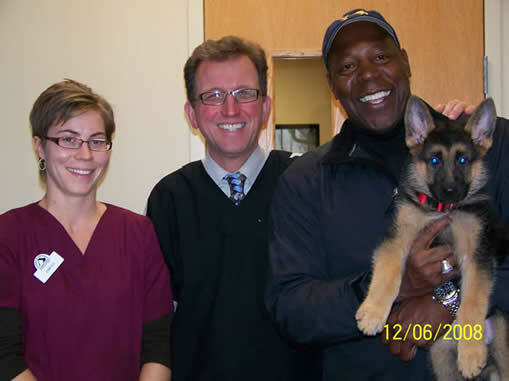 Jennifer, Dr. Randal Carpenter DVM, Vinnie Johnson with 2nd puppy from Kolenda Kennels. After having Berrin for 8 months I was so happy with him, he turned out to be such a beautiful boy with such a wonderful temperament, that I had to get another puppy from you! Thank you so much. 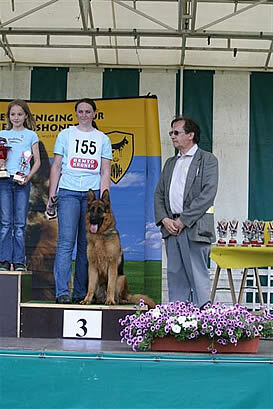 My life long dream was to own a world class show dog. I spent over a year searching for the right breeder. 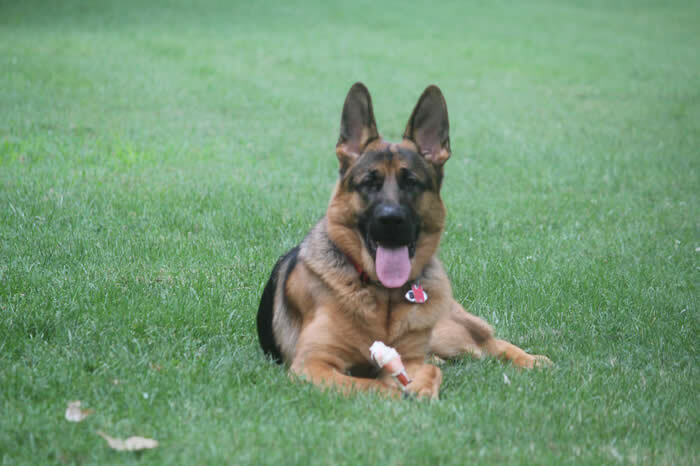 When I contacted John & Susan at Kolenda Kennels we talked for quite awhile on several occassions, I told them my dream was to enter a dog in the prestigious North American Sieger show. The Kolenda’s sold me a puppy that was 8 weeks old that they thought had show potential. 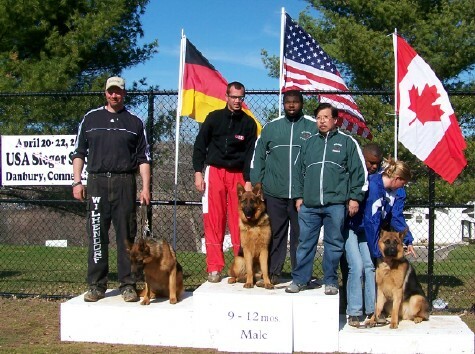 So my son and I flew to the United States from the Philippines when Ilac was 5 months old to see the dog I purchased compete in the 2006 North American Sieger Show. 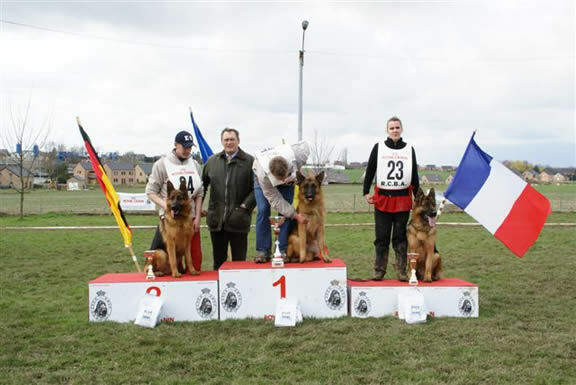 I could not believe my own eyes when Ilac made first place against some of the worlds top breeders, Kennels and dogs. 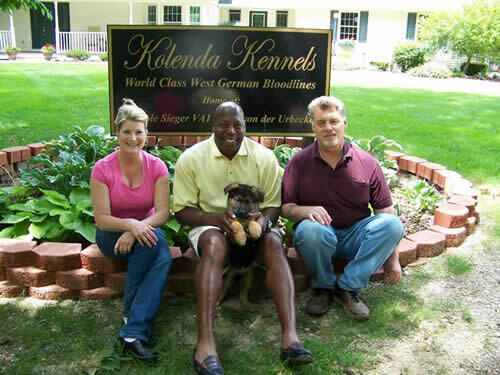 Thank you John & Susan Kolenda@ Kolenda Kennels for a dream come true! 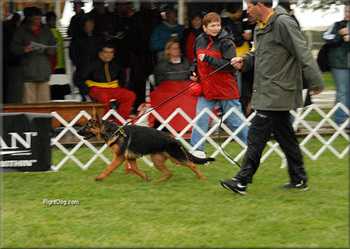 I handled Ilac at the 2007 USA Sieger Show. We came in 1st place! I was so impressed with Ilac’s movement and structure, it reminded me of Yasko vom Farbenspiel. 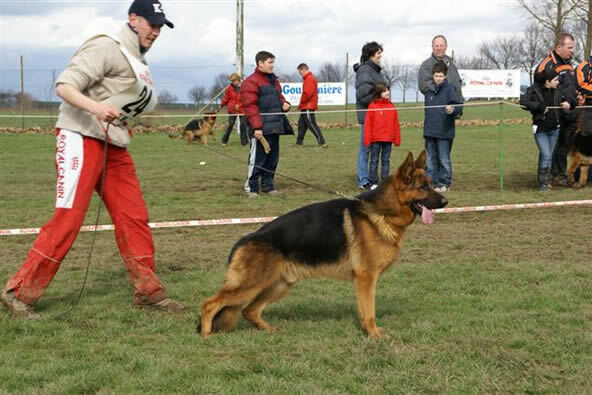 I thought about it all night, and decided to ask the Kolenda’s and Alex Tanwangco if I could take Ilac back to Germany with me, where I could continue to train and show Ilac, and then enter him in the 2007 World Sieger Show. So we all agreed and Ilac is now in Germany training. 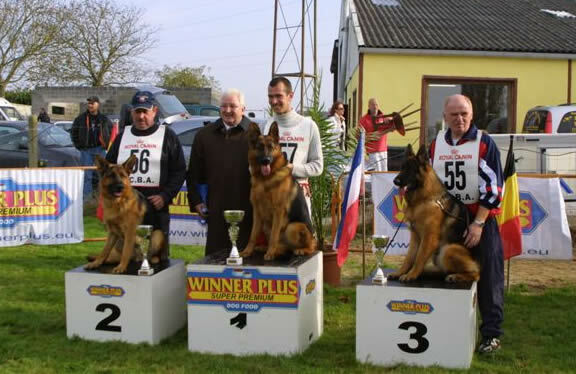 ~ Roland Paquay~ Former Handler of 2X World Sieger VA1 Yasko vom Farbenspiel. 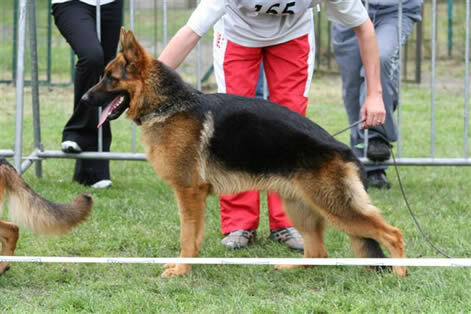 Hi John & Susan, I am so excited that Ilac finished 1st place at such a large regional show in Germany! 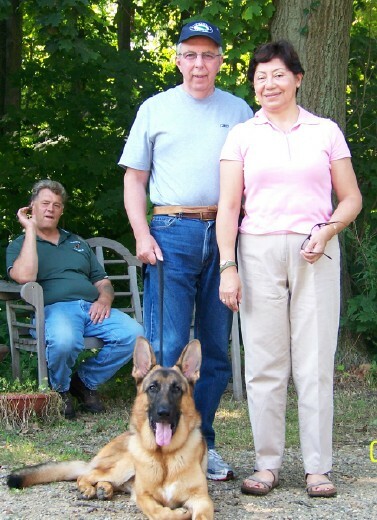 John & Susan it has almost been a year since we welcomed Cesar into our family! 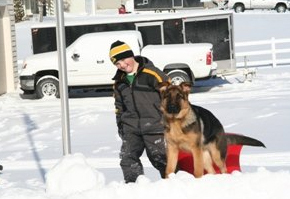 How time has flown and how big Cesar has gotten over this time. 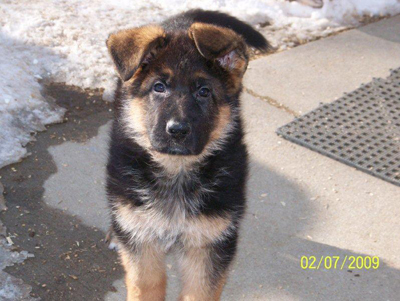 We are still amazed when we look at old photos how small he actually was as a puppy. 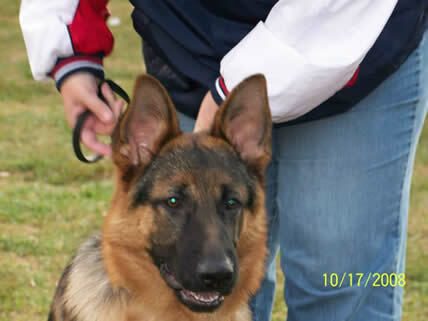 Cesar was a pup from Rooney and Fara’s litter back in November. Cesar is such a handsome dog. Every time we take him out with us, he receives so much attention. He never met anybody he didn’t like or didn’t fall in love with him. People always comment on how handsome he is and well-behaved. He is also so smart and resoureful! Our friends are amazed at how Cesar after hours of playing around in our backyard is able to open our sliding patio door and let himself inside the house. We have been so happy with Cesar. 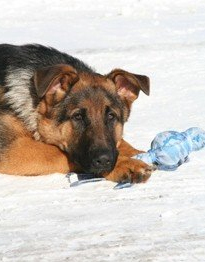 He has a wonderful temperament, very loving, and loves to play. We are about to welcome a set of twins into the family and we can’t wait to see Cesar develope a loving attachment to our new little ones. Thank you so much for everything and we may be talking soon about adding another one of your great pups into our family in a couple of years. 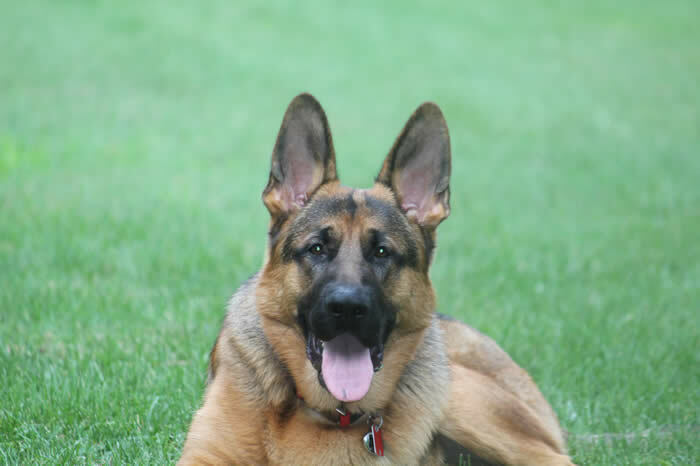 I purchased a pup (Toby Vom Kolenda) from you in 2008 and he is now trained in German commands working as a search & rescue dog along with me for the County Sheriff’s Dept. My trainers name is Joe Nichols, you probably do not know the name but you will know what he is responsible for, “Megan’s Law” Joe is the k-9 Officer who located Megan’s body with his K-9 partner and lobbied for legislation for the law to be passed in Trenton, New Jersey. 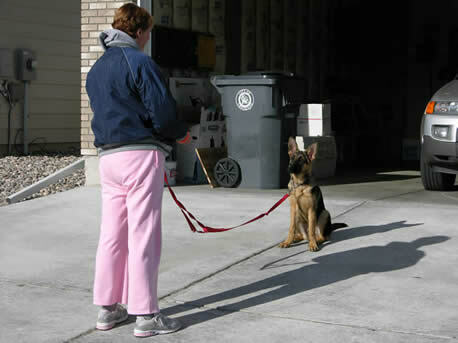 He is a very well known trainer and still trains dogs for the New Jersey State Police as well as local and County Law Enforcement. If you “goggle” his name “Joe nic ” dog trainer you will get a full bio on this gentleman who donates his time and is a friend to all K-9 handlers throughout the country and I was lucky enough to work on a pilot program with the “Discovery Ch.” who produced a pilot program on Joe and what goes into the training of Police K-9 Patrol, search & rescue as well as narcotics detection dogs. Please advise if you have any plans to do so. 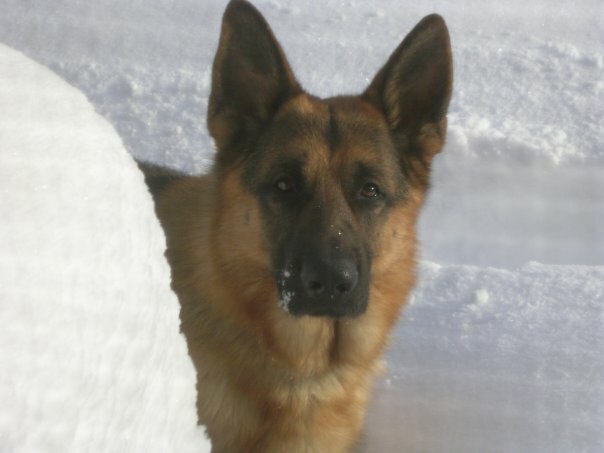 I have atached a picture of “Toby”, who is my best pal and smarter then some people I know ! 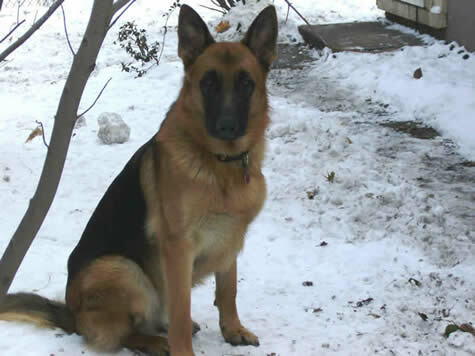 Here’s some pictures of Zena, she’s two years old tomorrow. 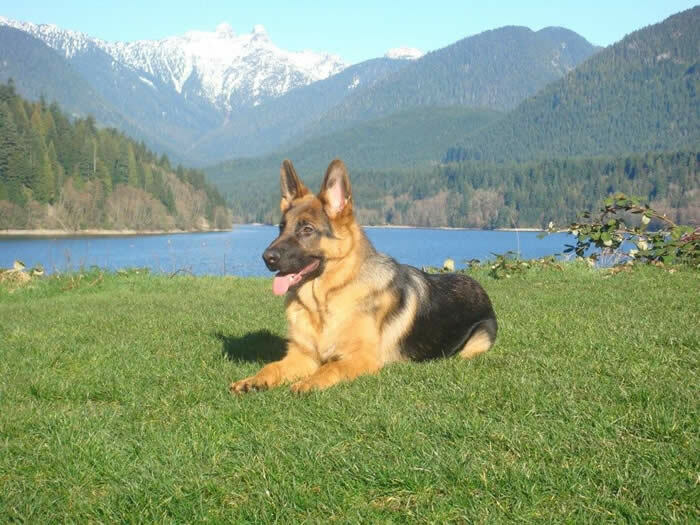 Thanks again for such a WONDERFUL German Shepherd. Randolph is doing great! I get lots of comments on how beautiful and well behaved he is. He loves to train and he loves to play. He follows me everywhere. I call him my shadow. He loves to be cuddled and brushed. I couldn’t ask for a sweeter dog! He loves people and other dogs and does his puppy dance when I get his puppy vest and leash. He knows that we are going somewhere. He loves to go! Thank you for such a wonderful dog. Thanks for making “Zeus” available to us. 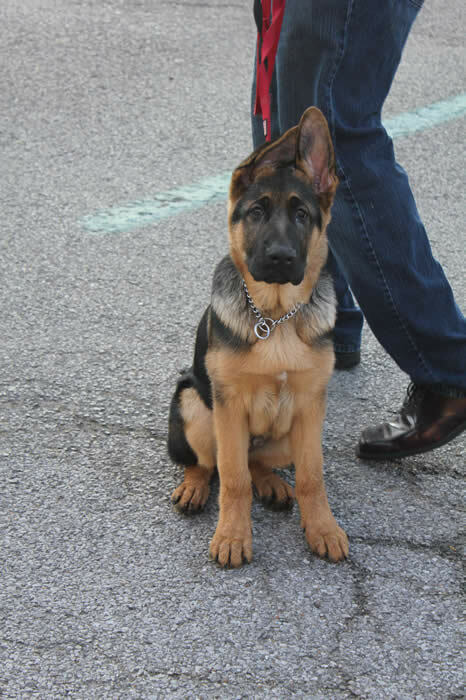 He is already 6 months old and everything that we wanted in a German Shepherd and then some. 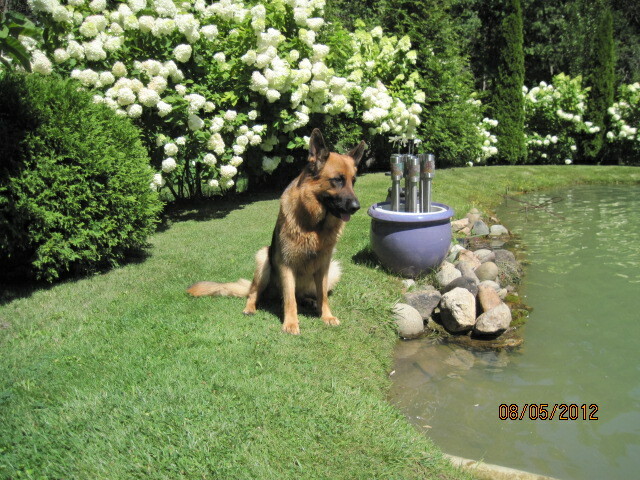 We get lots of comments on how beautiful and well behaved he is. 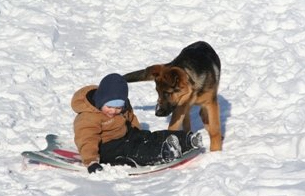 The “shepherd” instincts are also apparent in this dog. He is very gentle, watches over the children constantly and will seek out any member of the family that is not visible to him at any moment. You are to be congratulated on producing an outstanding example of this breed. 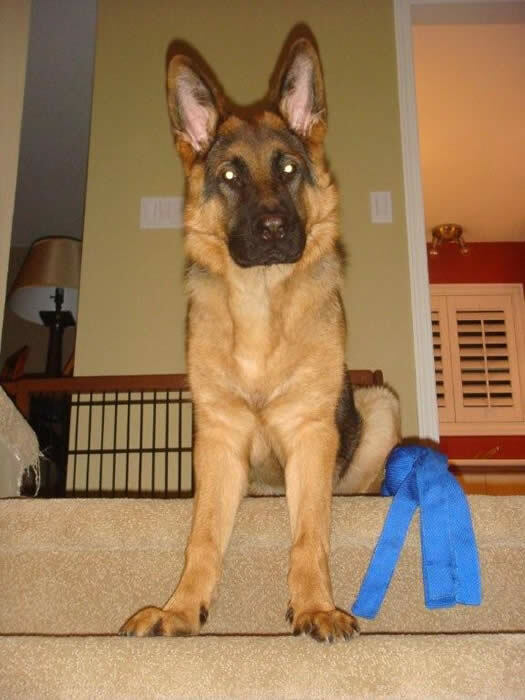 We would push anyone interested in a German Shepherd Dog in your direction. Wishing you and your Family well in 2010! Theo is awesome, what a beautiful dog. He is doing great, and I will send you pictures as he grows. You have a great set up and I will recommend you to anyone who asks. 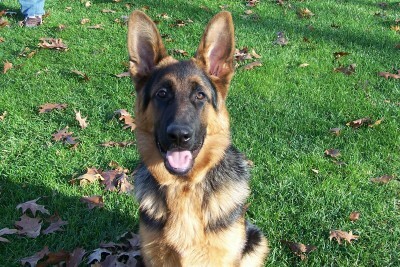 We are joining a German Shepherd Kennel Club near our home and I’m sure we’ll have as much fun as Theo.